The wait to find out Nebraska's starting quarterback is finally over. Head coach Scott Frost released a depth chart Sunday morning. 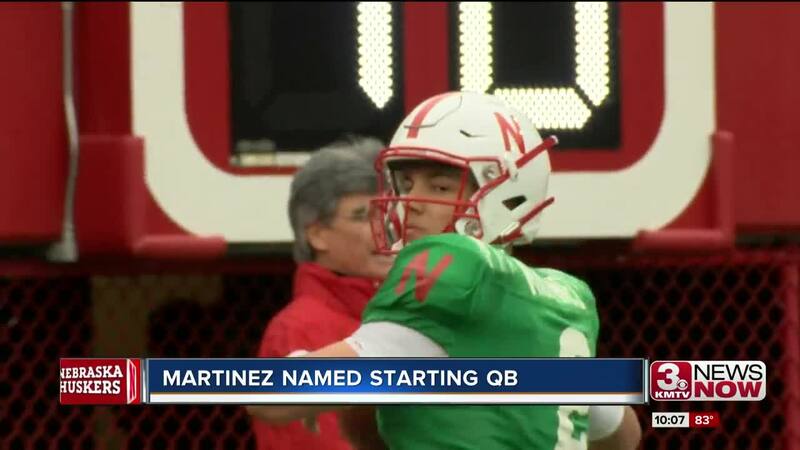 The Huskers will start Adrian Martinez against Akron on September 1st. It marks the first time in Husker history a true freshman will start a season opener at quarterback. The starting wide receivers are Stanley Morgan, Mike Williams and JD Spielman. Spielman is backed up by Tyjon Lindsey, while Morgan is backed up by Bryan Reimers or Jaron Woodyard. True freshman Andre Hunt is listed as Mike Williams' backup. Jack Stoll is the #1 tight end backed up by Austin Allen or Kurt Rafdal. Barret Pickering is the #1 kicker ahead of Omaha Burke alum Cole Frahm. On the defensive line, Freedom Akinmoladun, Mick Stoltenberg & Ben Stlle/Carlos Davis (co-#1's) are the starters. Tyrin Ferguson earns the #1 OLB on one side while Luke Gifford is #1 on the other. Dedrick Young III and Collin Miller are the co-#1's at one of the inside linebacker spots, while Mohamed Barry and Will Honas as the co-#1's at the other. In the secondary, UCF grad transfer Tre Neal is listed as the #1 safety. Deontai Williams & Antonio Reed are currently listed as co-#1's at the other safety spot. Lamar Jackson is one of the starting corners, backed up by true freshman Braxton Clark and DiCaprio Bootle is the other #1 cornerback, with true freshman Cam Taylor #2. For the full depth chart, click on the picture above.